Our children are amazing, resilient souls who have overcome much adversity and each has a unique story. For less than $2 a day YOU can help end poverty and change the life of a child. Knowing that someone loves them and wants them to succeed is so meaningful to them. The children cherish notes of encouragement from their sponsors, hiding them away and re-reading them countless times. You DO make a difference! Full sponsorship for a child is $2,500 ($210/month) provides tuition, books, a school uniform and all living expenses (food, housing and medical). Education Plus sponsorship for a child is $1,250 ($105/month) provides tuition, books, a school uniform and meals for one year. Education sponsorship for a child is $500 ($42/month) provides tuition, books, and a school uniform for one year. 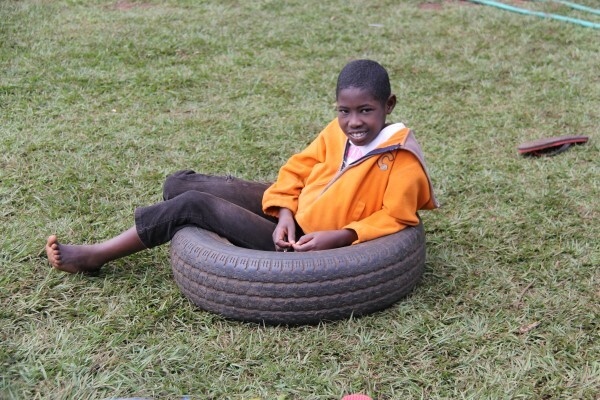 If you are interested in sponsoring and building a relationship with a child at the Amani Home, please contact the IPI Administrator at cara.hoevet@ipeacei.org. You may also donate online and designate your gift go towards a sponsorship and you will receive a sponsorship packet shortly thereafter. Thank you for making the difference in the life of a child and towards intercultural peace and understanding.